As the world’s leading supplier of athletic shoes, Nike has continued to surprise many people with their inventions. The Nike Air Max Flyposite Men’s Cross Trainer Shoes 536850-001 is one of their creations which boast of premium lightweight cushioning and seamless Foamposite upper. The shoes are designed with a futuristic look which also combines plush impact protection. Learn more about this shoe by reading this review. The Nike Air Max Flyposite Men’s Cross Trainer is a stylish shoe courtesy of the nubuck and the leather upper which gives it a premium look and feel. In as much as they are training shoes, they also needed to look the part in order to appeal to the consumers. The leather upper protects the shoes from wear and tear to ensure that they last long. This guarantees that buy buying these Cross training shoes, you get value for your money. The fact that the shoes are appealing to the eye means that you can even wear them while talking a walk. Comfort is essential when training. Your training session may be greatly compromised is one is not feeling at ease with the shoes they are wearing. The moulded EVA sockliner is designed to provide comfort and underfoot support to enhance performance during your workout session. The shoes feel great to wear hence can encourage you to train without feeling any pressure. Whether you’ll be training indoor or outdoor, you need shoes that can provide you with grip. 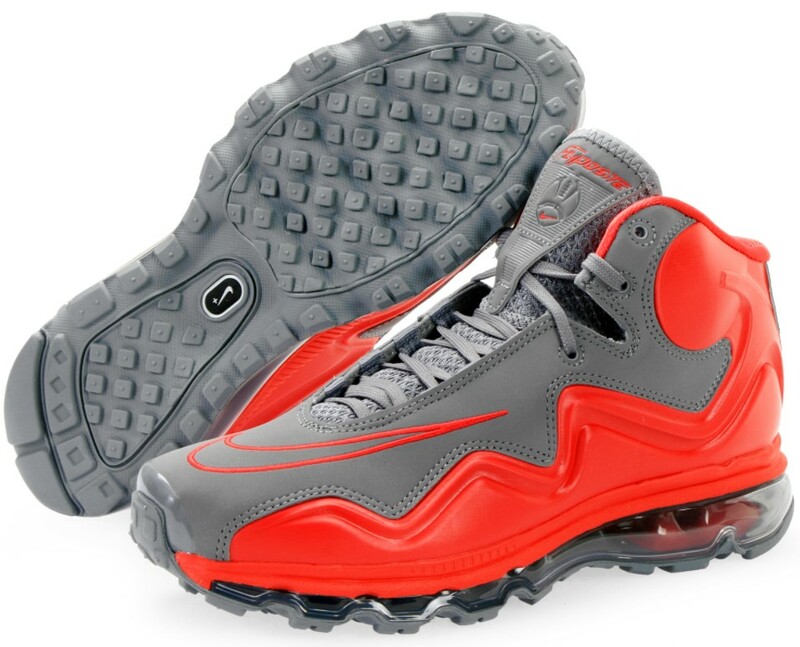 The solid rubber waffle outsole ensures that the Nike Air Max Flyposite Men’s Cross Trainer Shoes have enough traction. This way, an individual can make swift transitions between exercises without fearing to trip. The rubber outsole holds the shoes firmly against the surface for stability and support. As compared to plastic, rubber is also lasts longer. This means that you can train in these shoes for an extended period of time without having to worry about them tearing. The air unit is designed to offer the Nike Air Max Flyposite Men’s Cross Trainer Shoes 536850-001 utmost cushioning and provide for a mixture of smooth and natural range of motion. The seamless foamposite is made in such a way that it wraps up from the midsole to give the shoe its bold look and enhance durability. The shoes are quite smaller. Therefore when ordering for them online, you may want order a half a size larger than your normal size. On the other hand, if you are to buy them directly from a store, make you to try to fit them before purchasing. That is the only way you can be sure that they’ll fit you. Most customers were of the opinion that the Nike Air Max Flyposite Men’s Cross Trainer Shoes 536850-001 are stylish and functional. Besides the sizing issue, the shoes are comfortable, stable, and the rubber outsole enhances traction and durability. The shoes are perfect for training and with their stylish design; you can rock them on when you go out for a walk. Enhance your performance while training by purchasing these shoes. Different shoes perform different tasks. If you are looking for great cross-trainers, you need to consider the Nike Air Max Flyposite Men’s Cross Trainer Shoes 536850-001. These shoes are goal oriented because performance wise, they deliver as per expectation. Add to this the fact that the shoes are pleasing to the eye and you can understand why they are a bargain buy.